Blackboard Stickers - An illustration of a skateboarder that can also be used as a blackboard to write on! 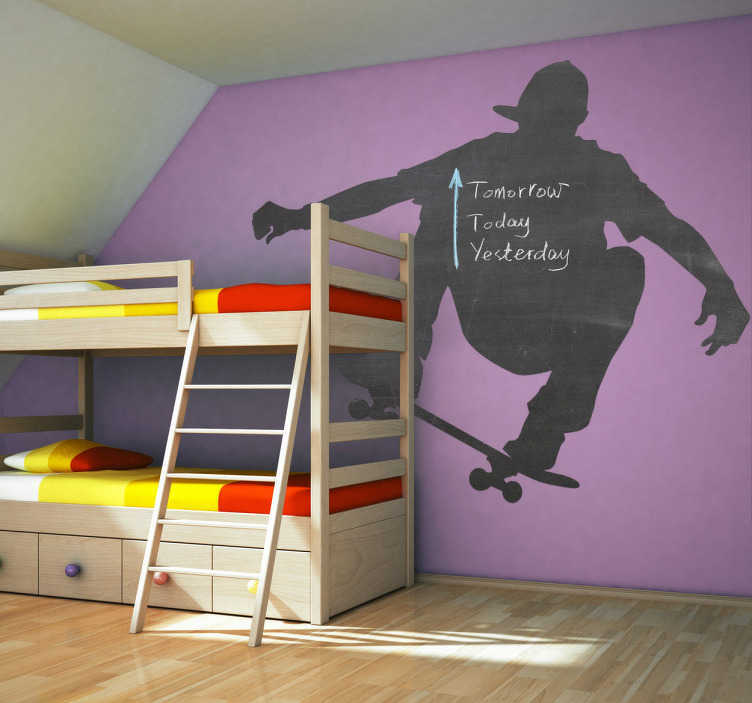 The skateboarder sticker is a great design to add to a child´s bedroom. Not only does it look cool but it can also be used for drawing or taking notes. Is your child a skateboarder? Add this high quality wall sticker to their bedroom! The skateboarder decal comes in various sizes and is easy to apply. All of our wall stickers leave no residue on removal.